Doctor Juno does not realistically reflect the workload and pressure placed upon medical professionals. Whose shift begins at 10 AM? She has a worrying work ethic – breaking into song is all very well – but what I’m really after from my Doctor is a diagnosis and some drugs if I could just get your attention for a SECOND please. Also, I actually wouldn’t call it ‘so exciting in the hospital’ – rushing blue lights tend to signal a medical emergency in my experience – not a cue to waltz around singing a merry little self-effacing tune. Get back to work. Granny Murray is literally THE most annoying character that ever was. Ever. Why is her knitwear selection so limited? Is she paid for all this child minding and dog sitting? Can she do both? Are Ofsted aware? Why does she live with a mannequin? Ginny – is he one of Baby Jake’s many siblings or is he in fact – a tree? He thinks he’s a tree! He lurches around the living room, every day, his arms imitating branches (impressively I must say), and sits down to dinner still dressed as a tree. As a tree! What the dickens is going on here? Please tell us more as a matter of urgency; after a thorough and sensitive psychological assessment has been carried out, naturally. Baba Pink, Blue, Orange; whatever – this show needs to be shot – please. It is condescending to one year olds, really. I’ll wipe the bleeding cobwebs from the moon myself if you just make it stop. And if you could do so by ‘nightingdom’ I’d be ever so grateful. They basically need to hop on their sky train and bugger off! I know we’re all meant to love Postman Pat who was part of our own TV childhood, blah blah blah. But the thing is: he’s a damn chump. Incompetent, arrogant, unapologetic. And really – let’s be honest – shouldn’t be trusted with a helicopter or the royal mail. Jess would do a better job, and I think may well be mewing for his retirement. You have the power to make it happen. Special deliver this loser his P45 – see what I did there? The Tombliboos are alcoholics, yes? Highly functioning ones may be (they keep their slides immaculate), but you do know that you’re normalising, and knocking back that volume of Pinky Ponk juice is not normal? 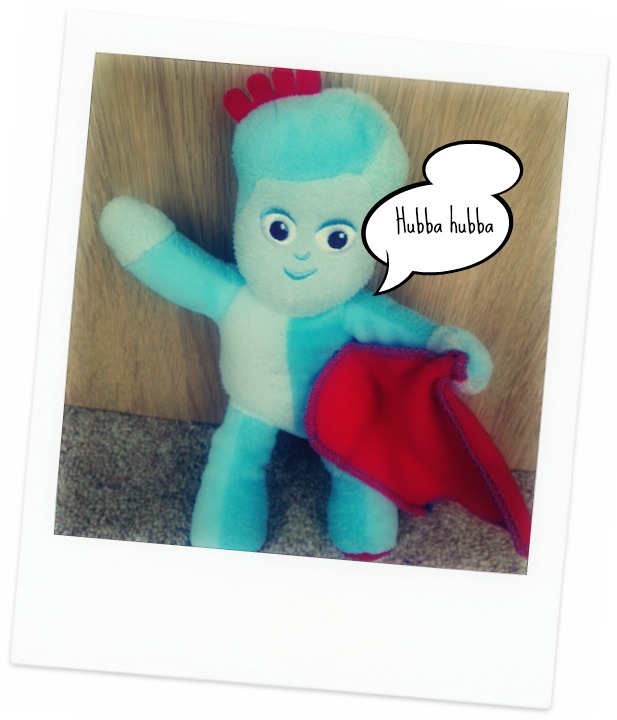 Is Igglepiggle meant to be portrayed as sexually obsessed? Deliberate developing storyline or actor improvisation gone awry? Were you aware he pinched Upsy Daisy’s bum as they sauntered onto the Ninky Nonk recently? It happened, I bore witness. And I just think it’s important that you know – no matter how many sponges Makka Pakka cleans him with – he’s always going to be dirty.